According to the Center for Responsible Lending, U.S. 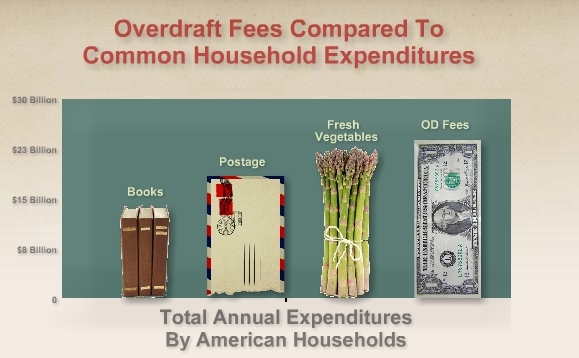 Households spend more on overdraft fees than on fresh veggies. Whether financial reform will change that remains to be seen. On Friday, the $566 million-asset Urban Trust Bank (UTB) of Lake Mary, FL has stopped charging overdraft fees on prepaid cards. This came in response to consumer advocates who claimed the card offered overdraft protection for a fee of 15 cents for every $1 in negative balance, a rate that exceeded the interest-rate caps in several states. The prepaid industry is getting scrutinized more and more about overdraft protection, regulation, as well as the fees – as we saw last week with the prepaid reforms from Attorney General Pam Bondi in Florida. In March at the Prepaid Expo, we will have a panel discussion on overdraft protection with a Netspend executive. See the full list of speakers and to learn more about the Prepaid Expo click here.